Snapchat is a free photo sharing social media app developed for IOS, Android & Windows platforms, which can send and receive photos that would disappear after a preset amount of time (1-10 seconds). It allows the user to text, call and video message with others. You can record, edit/modify and post photos and videos with others in your social circle and vise-versa. While the app has been more popular in the US & Europe, it is gaining a large following and popularity all over. Why Snapchat is good is obviously because it is loads of fun and helps you to exercise your creativity in expressing yourself. The wide array of editing tools, filters, and updated features give it that quirky and fun-centric experience. The app’s selling point is the fact that content you share on this platform is not stored anywhere and gets deleted within a pre-programmed time frame. Lately a lot of bad things about Snapchat has been under speculation owing to this misconceived notion that content you share on the platform is completely inaccessible by a third party. 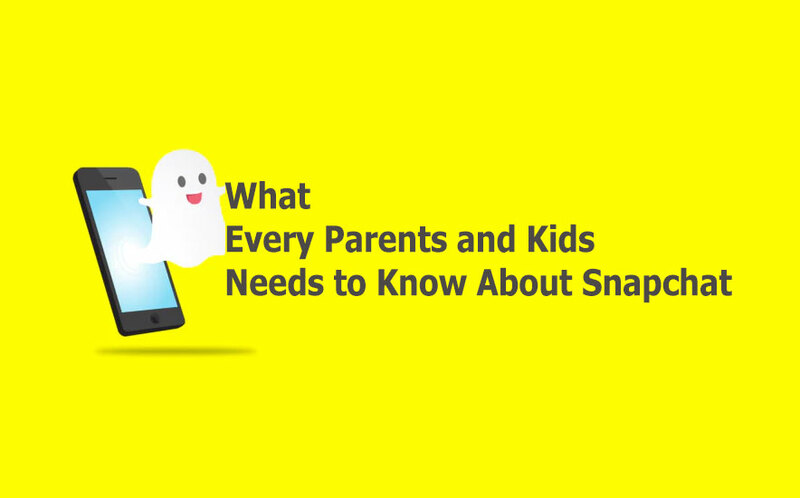 What the Parents and Children should be aware of Snap chat is that the pictures and videos don’t technically just “disappear.” Users can purchase the Replay feature which allows them to replay the image any number of times. They can also capture a screenshot of the image and save it using the inbuilt feature in Android and iOS platforms. There are also other third-party apps which get around the notification feature of Snapchat when someone saves your image. It is a loophole which allows tech-savvy users to capture a screenshot of the image that you sent without alerting Snapchat. If you Google ‘How to save a snapshot image’, you will be surprised at the relative ease with which this can be done. Snapchat itself admits that – “as always with digital media, 100% safe sharing doesn’t exist.” This is a clause of particular importance. It’s also possible to take a picture of the screen with another camera, in which case nobody gets any notifications and the security of the image is completely compromised. What makes it scary for parents is that there is no Snapchat parent app you can use. The security and privacy feature of the app does not allow the parents the luxury of being able to have monitoring power on all the activities of their kids. There are some articles online which gives details about how sexual predators and perverts use Snapchat, Facebook, Instagram and other photo and video sharing apps to identify a, target and potentially coerce children or young people into compromising themselves through suggestive pictures. Parents and their children must have a good trusting bond and open relationship between them, where the children are not hesitant to inform the parents when they are being victimized/harassed. In most case scenarios, it is when the children are afraid of communicating their issues with their parents, that they get further manipulated by such entities. The dangers of Snapchat outweigh the pros when it comes to children using it. The thrill of sharing edgy content on Snapchat has an addictive quality to it. Teenagers can be especially vulnerable to this, especially when you are exposed 24×7 and have access to anybody in the world at any point in time. In a world where it’s close to impossible to ascertain the identities of the people you meet online, the best course of action for all parents and their children is simply refrain from connecting with people you don’t know offline. It’s particularly important to have a relaxed and open conversation of all the features and loopholes of Snapchat and decide to use the app, aware of the fact that their whatever they share online can be used against them. Of course, there are “spy” apps available on the market that you can install on a phone used by your children, but it’s always a good idea to keep it as a last resort, and if you do use it, make sure your child is aware of it.